The company showcased and launched some new products like the BenQ ScreenBar e-reading lamp, Edimax EdiGreen AirBox Indoor Air Quality Monitoring Solutions and more. 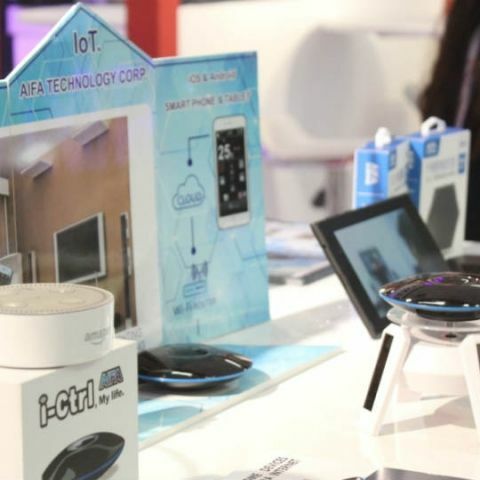 The rapidly picking ICT market in India received a major shot in the arm when some of the best brands from the global ICT market showcased their products at an expo here. Taiwan Excellence displayed its advanced and award-winning products at the recently held Convergence India 2018 in New Delhi. The exhibition was held at Pragati Maidan from March 7 to 9. India is already experiencing a robust business environment thanks to the various initiatives undertaken by the government including Make in India, Digital India, Smart Cities, Skilling India and Start up India to empower citizens. The country is now witnessing the heralding of a digital transformation that has transformed its economy. Taiwan-based ICT brands have supported each of these initiatives and are contributing seminally in the making of strong ‘digital India’ of the future. Participating in the Convergence expo for the 2nd consecutive time, Taiwan Excellence reiterated its commitment to align with India’s digital development mission. This year, the organization unveiled some never-seen-before cutting-edge products at the expo like the BenQ ScreenBar e-reading lamp AR_17, which was specially launched at the event. Also, on display were some state-of-the-art digital innovations including Avision A4 Black & White Laser MFP AM30A Series, Edimax EdiGreen AirBox Indoor Air Quality Monitoring Solutions AI-2002W, Acer abSignage etc. Among the featured brands during Convergence India 2018 are MSI, a brand that resonates gaming experience; ASUS, a household name in India for superior laptops; and Plustek, known for its world-class quality scanners. The exhibition also featured other prominent brands such as Gigabyte, company supplies some of the most trusted motherboards, graphics cards, and computer notebooks on the global market today; Thermaltake which is known for three main brands—Thermaltake, Tt eSPORTS and LUXA2—and have been merchandising high-quality products throughout the world, D-Link Corporation, Aifa Technology Corp, Silicon Power Computer & Communications Inc and so on. A host of senior corporate leaders and stalwarts from leading Taiwanese brands attended Convergence India 2018 including 2017.
when BlackBerry 10 new update is doing to release in India ?